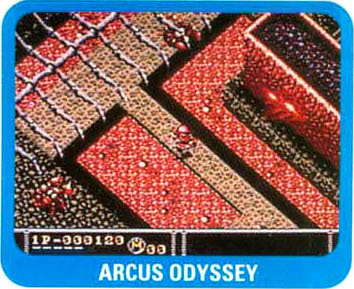 Arcus Odyssey was one of several unreleased games by Renovation. There exists an English beta of the game under the Japanese title, Arcus Spirits. 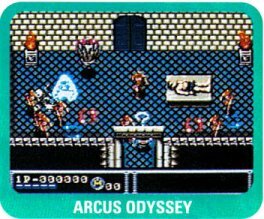 Arcus Spirits is an overhead adventure game, somewhat similar to The Legend of Zelda. You can choose between 4 characters and it had a Greecian theme to it. 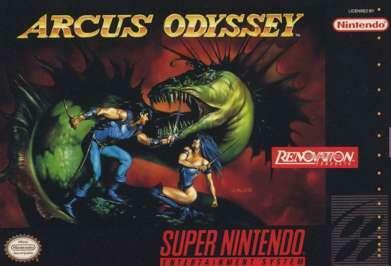 A beta version of the game was discovered, with the original Japanese name "Arcus Spirits" still on the title. The beta had the Wolf Team logo on it, suggesting they were preparing it for release. 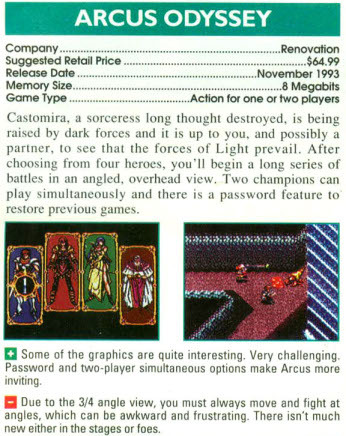 Renovation was purchased by Sega, so that is likely why the game never came out.